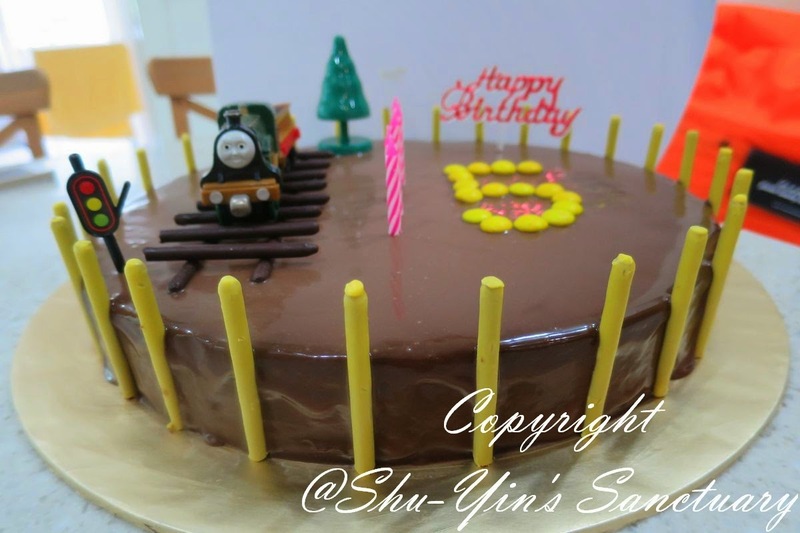 Just like all the previous years, I'd decorate his birthday cake, just like his 1st, 2nd, 3rd and 4th birthday cakes. But this time, I was so not prepared. I didn't know how I was going to decorate it until I took the cake out in front of me, and just 3 hours before the party. The theme colour this time was 'Vintage Train Black and Gold theme'. 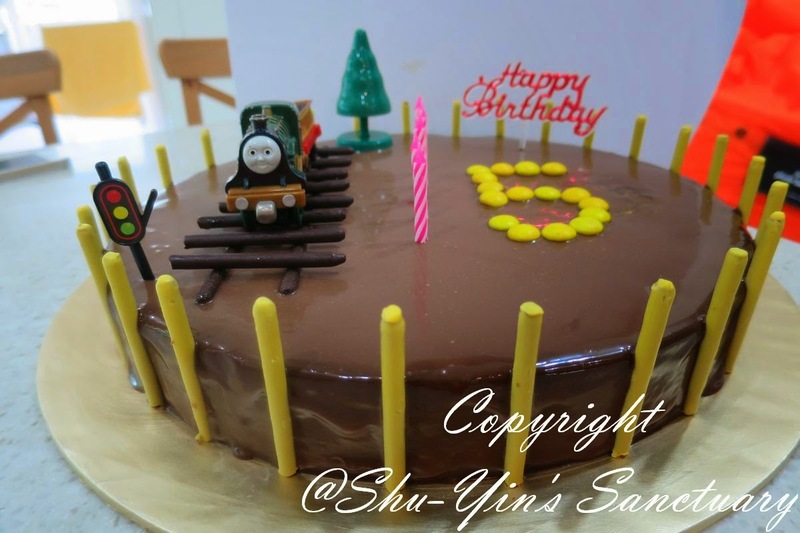 Yeah, Shern is still very into trains, and he is not showing sign of train boredom yet but his mum is. lol. I bought some Banana Pocky Sticks and sorted out some yellow M&Ms to imitate the 'gold'. 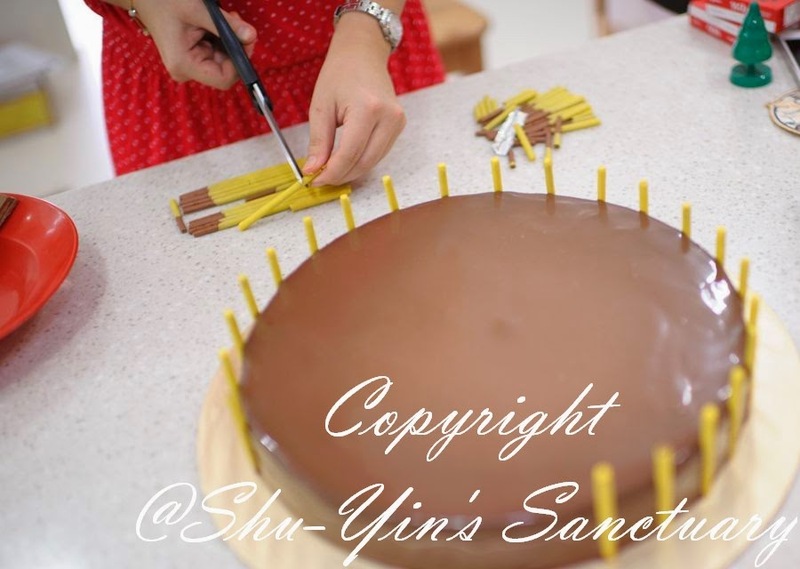 And some chocolate Pocky Sticks for the 'black' and the chocolate cake itself. And this is the front view of the cake. This is me while decorating the cake. 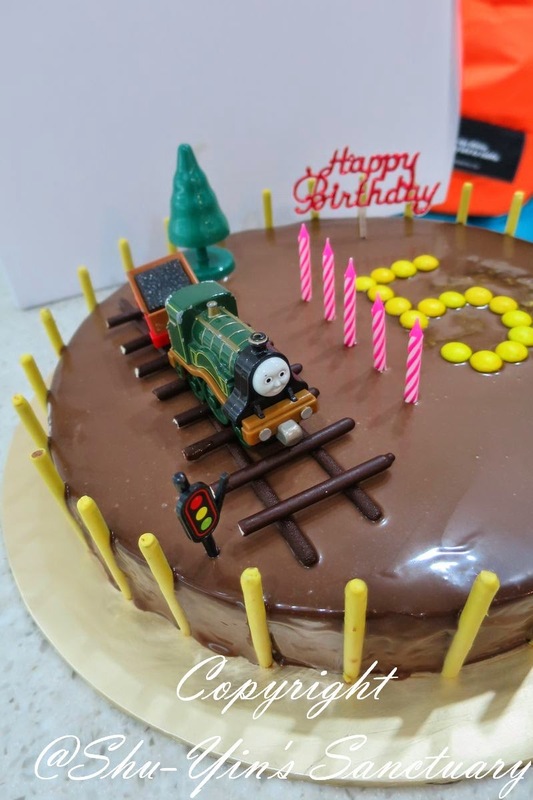 Fyi, Shern requested for Emily the train to be put on top of the cake. 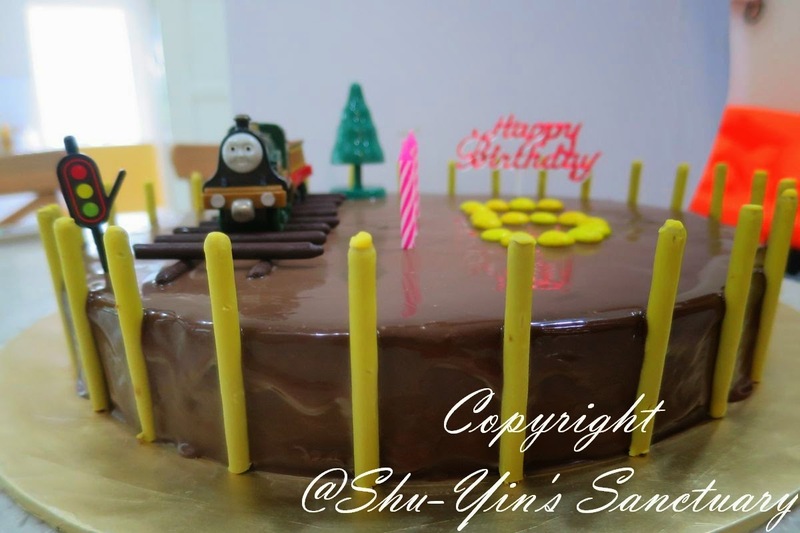 And Shern was happy with the cake, especially so when it is chocolate flavour, his favourite. 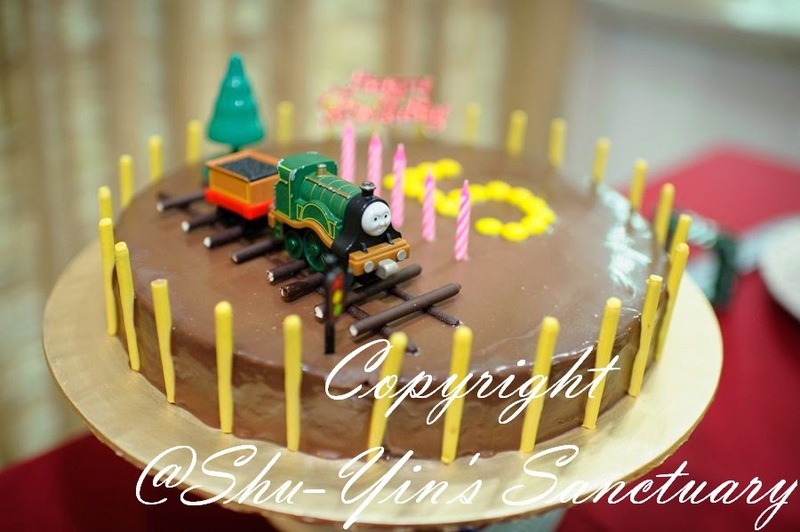 Another One-of-a-kind Train 5th Birthday Cake for Shern. 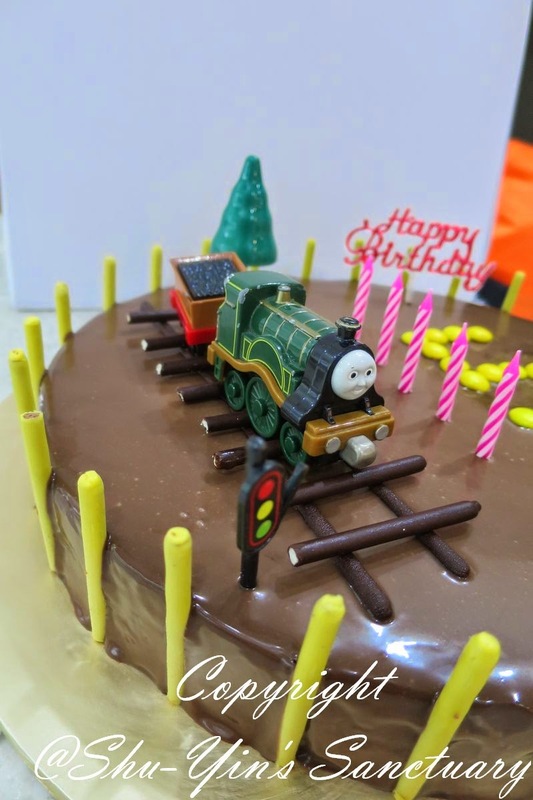 p/s - Stay tuned for the Birthday Party post!